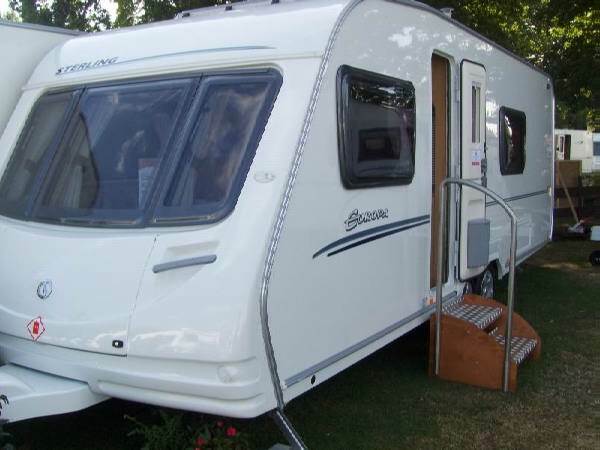 The Swift Group, manufacturers of touring caravans, probably have more touring caravan models in production than any other company. They are the parent company for some of the best known name in caravanning such as Abbey, Ace, Bessacarr, Sprite, Sterling and Swift. Swift had a massive amount of caravans on display and as such we werent able to have a good look at all of them, sadly Bessacarr didnt have any presence there as the show was predominantly aimed at tourer caravans, static caravans, park homes, wooden lodges and items that would interest caravanners of that type. On to the next page where we will be taking a look at the Abbey GTS 420.